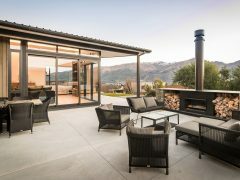 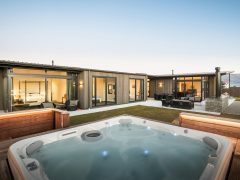 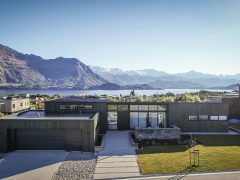 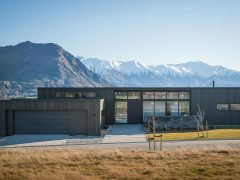 Located on an elevated suburban section this comfortable and well-appointed three-bedroom home enjoys an impressive outlook to Lake Wanaka and Treble Cone. 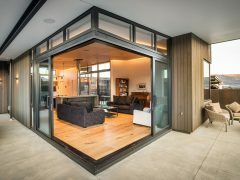 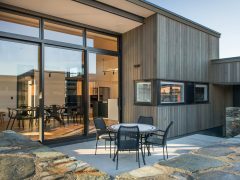 Designed to offer privacy from the street, a simple mono-pitched design was developed to create a private sheltered private courtyard. 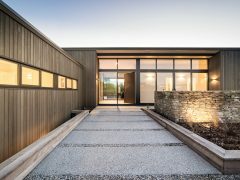 Clad in dark stained cedar with black window joinery, the home presents a clean understated presence to the suburban street. 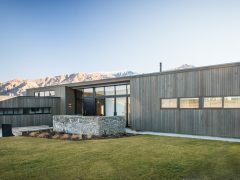 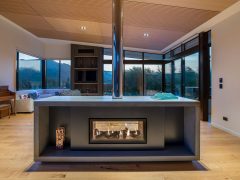 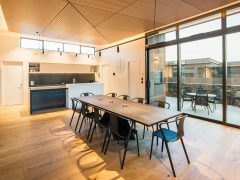 Internally the material palette is simple and refined; floors are oak, walls are generally white, and the ceiling is Southland Beech.